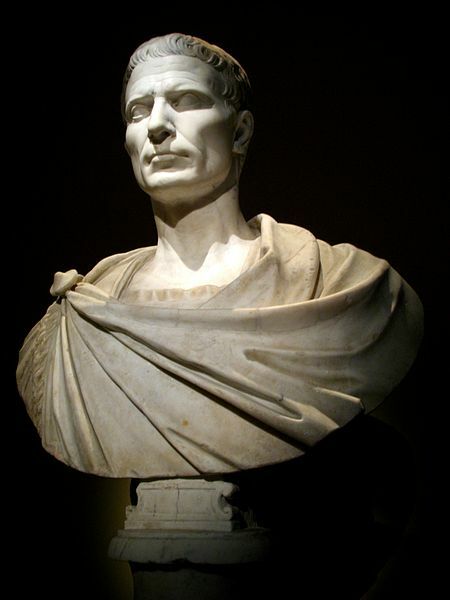 I chose Julius Caesar because he was assassinated on the 15th March 44 BC. That was quite some time ago, which means that there has been plenty of time for his last breath to have mixed relatively evenly around the globe (this is the first assumption). The next step is to calculate the number of molecules that are in a single breath. To do this, you need to have a rough figure for the volume of a breath. This will obviously vary considerably depending on the size of the person, their current physical state etc., but a good value is about half a liter (this is the first rounded value). However, this information is useless information if we don’t know anything about the composition of what is being breathed out. We know that the atmosphere is made up of all sorts of gases, including oxygen, carbon dioxide, nitrogen, and other trace elements. It would be all well and good if we had a lot of time to spare, but remember that this is just estimation. So, since nitrogen composes about 78% of the atmosphere, let’s pretend that this is all the atmosphere is made (100%) – even though if this was all we breathed we would die (this is the second rounded value). Using Avogadro’s number (6.02×10²³) and the volume of 1 mole of gas at STP (24×10ˉ³m³) we can arrive at an estimate for the number of molecules in a single breath. This gives us a value of 1.25×10²² molecules. The next figure that we are going to need is the volume of the entire atmosphere, as we are assuming that the molecules from Caesar’s last breath have been evenly distributed throughout the globe during the 2000+ years since his death. This is where some extra knowledge does come in handy. Being a geographer and a physicist, I know that 99% of the atmosphere is below about 15km (note third rounded value). Using this, we can now continue to calculate the volume of the entire atmosphere. Some of you who are more familiar with maths may suggest modelling the Earth and the atmosphere as two spheres, and then taking away the volume of the Earth to leave behind the volume of the atmosphere. This is a good approach, but due to the huge scale difference between the diameter of the Earth (about 13×10⁶m) and the height of the atmosphere we are using (15×10³m), we can actually just pretend that the Earth’s surface is flat (second assumption) – although we are still required to work out it. 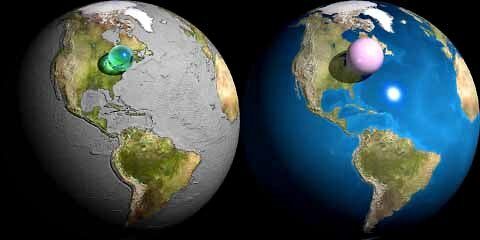 Let’s say the Earth is a perfect sphere (third assumption); we can use the equation for the surface area of a sphere (4Pir²) to work out the Earth’s surface area. Then, by multiplying this by the 15,000 we have our value for the volume of the atmosphere – calculating that we get 8.0×10¹⁸m³. So now we have two estimations: the volume of air in the entire atmosphere and the number of molecules in a single breath. Given that your breath and Caesar’s have the same volume, all we have to so is divide them out, giving us a figure of 6.4×10ˉ⁴. However, we’re not quite there yet; as this is the number of molecules in every cubic meter, so we must now divide this by the volume of a single breath (0.5 liters), and doing so our number comes out to be… *drum roll* … 1.28 molecules! What does this mean? Every time you breathe, there’s a good chance that at least one of those molecules was exhaled by Julius Caesar in the throes of death. For anybody interested in mathematics and/or physics, estimation can be a really enjoyable problem solving activity. What we did today is a popular calculation, and there are several different methods online to go about it that may be slightly more precise, usually involving gas laws. The value will tend to differ depending on the assumptions, rough values and method that you choose, but the figures are almost always in the same range of around 1 – 2 molecules. Dark Lightning: Fact or Fiction?